If ghettoes promote orthodoxy, sectarianism and self-help, the rise of Hindutva has also prompted efforts to reach out to wider civil society. While the processes which lead to the formation of ghettoes for Muslims in urban India are somewhat well-known, it is equally important to address the question: What goes inside a ghetto? What is the living experience of Muslims in ghettoes? This question is significant because a majority of Muslims live in urban India which is not a hallmark of most other Indian communities. Ahmedabad is home to probably India’s biggest Muslim ghetto called Juhapura. Its emergence was marked by the city’s history of communal violence: Muslims emptied the old city areas and sought refuge in the city’s western periphery in Juhapura. Characterised by inadequate public infrastructure, Juhapura presently houses almost 50% of Ahmedabad’s Muslims. The location of Juhapura does not allow its residents to grow relations with other residents of Ahmedabad, especially Hindus, given the area’s distance from central residential and commercial localities of Ahmedabad. On top of that, Muslim elites of Ahmedabad have a circumscribed influence in professional bodies and politics of Ahmedabad. These elite residents have turned inwards to build a strong social cohesion, creating ‘quasi-state’ institutions which make Juhapura a ‘self-developed’ ghetto. The deficiency of public infrastructure is compensated somewhat by Muslim charitable institutions which emerged in the wake of 2001 earthquake and continued their activities of relief and rehabilitation work for mostly Muslim victims post-2002 riots in Gujarat. Most experiments by such charities have been in the field of education. Post-2005, Muslim charities realised the need to nurture ‘skills’ among Muslims who are socio-economically backward. Influenced and funded by conservative movements of Islam such as the Deoband, many schools adopted a unique curriculum merging modern/secular modes of education with theological strands of knowledge: They are merging the space of a school with that of a madarsa. The form of education prevalent at such schools is not what Sir Syed Ahmed Khan, the pioneer of modern education among Muslims of the sub-continent, advocated, seeing a synthesis between the ‘work of God’ and ‘word of God’. Instead, these schools are heavily influenced by the religious idiom, impose moral restrictions on inter-mingling of different genders, prescribe an ‘Islamic’ dressing for students and promote religious virtues such as doing namaz five times a day and fasting during the month of Ramzan. Orthodoxy is not an element seen only in the schools of Muslim ghettoes but a common feature of the everyday life in gated communities. Movements like Deoband/Tablighi Jama’at have borrowed their ideas from the Arab version of Islam which de-emphasises popular/Sufi traditions of Islam in South Asia such as the Dargah culture, music and poetry inter alia attempting to awaken religious morality. Usage of Arabic names for residential colonies, office spaces, schools, hospitals, and restaurants signifies the influence of the Arab version of Islam. It has also promoted sectarianism in ghettoes: softcore Sunnis like Sufis/Barelvis have separate mosques from the Deobandis whereas most Shias stay in their special housing colonies within the ghetto. What is underexplored here is the element of caste among Muslims. Sufi culture is a high-centre of Islam where the power resides with the traditionally privileged ‘Ashraf’ castes such as Saiyads and Pathans. Deoband/Tablighi Jama’at have allowed space to upwardly mobile caste groups – like Memons and Mansuris in Gujarat – and opened the space for internal democratisation to some extent: The paradox here is that the conservative Muslims are leading an internal social revolution. Ghettoes like Juhapura generate a fear psychosis among the non-Muslims. Hindus mostly stay away from the locality as ghettoes often invoke the image of an underclass, uncivilised and criminal Muslim locality. Orthodoxy in the ghetto does not help and only reinforces the picture of Muslims as primordial and antediluvian. The contact point of non-Muslims to Juhapura remains limited to secret adventures to non-vegetarian food joints or travelling by the highway which goes through the ghetto. Thanks to the representation of Muslims as a fifth column, many residents hesitate to mention Juhapura in their house addresses and instead use ‘Sarkhej’. Some use a relative’s address not living in the ghetto while applying for jobs. Staying in a ghetto like Juhapura compromises the social status of elite and upper-middle-class Muslims. Many elite Muslims living in Paldi and Navrangpura areas of Ahmedabad do not wish to shift to Juhapura for this reason as they would be grouped alongside the ‘demonised’ Muslims. 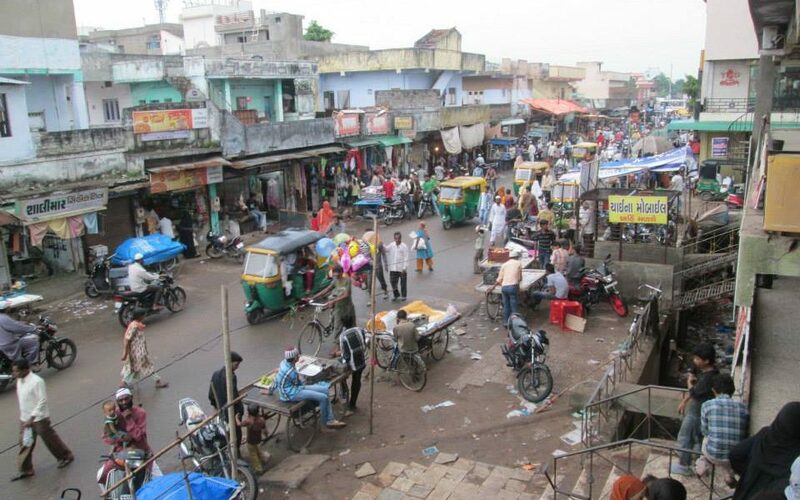 A second reason for not migrating to Juhapura includes a genuine belief in cosmopolitanism as staying in a ghetto restricts inter-mingling of communities (though social interaction between communities in these posh localities is also somewhat restricted). Recently, the residents of Juhapura have made attempts to abandon their aloofness from the rest of Ahmedabad. 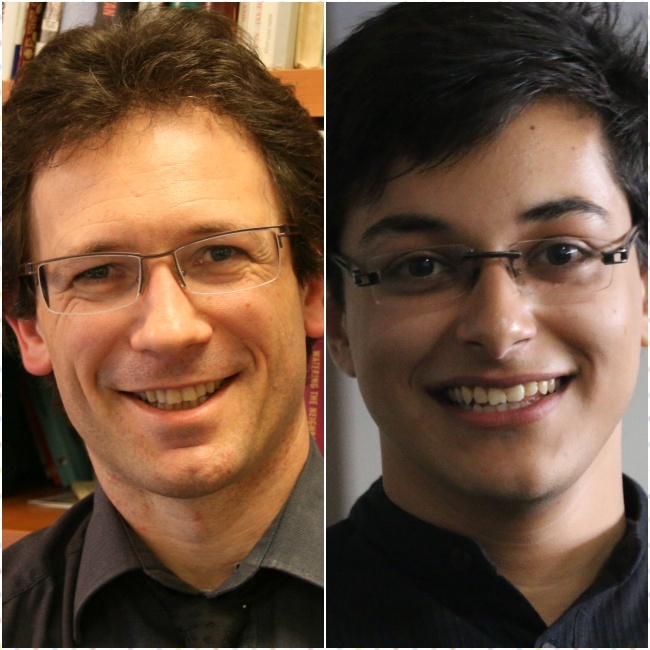 As one of us argued in his research (Sharik Laliwala’s Master’s dissertation at King’s College London titled ‘Faithful and Secular’ (2017)), many Islamic groups are collaborating with secular, left-liberal civil society organisations. This uneasy alliance, fraught with ideological contradictions, is realised on the need of unity: The ‘storm of Hindutva’ is making Muslims secular. There are glimmers of resilience among urban Gujarati Muslims. Surprisingly, one often hears anecdotes among Muslims about how the 1992-93 riots in the wake of Babri mosque demolition and the 2002 riots made them stronger as they started to stay together, became more religious, and collaborated for developmental activities. Unique business set-ups like Hearty Mart (a supermarket chain by a Muslim entrepreneur), the initiation of Ahmedabad Muslim Entrepreneurs group and social progressivism of activists like Zakia Soman and Juzar Bandukwala is initiating positive changes within the Muslims. Whereas, many schools like Crescent School in Juhapura bring secular education to students without emphasising religious ethics. Though the story of resilience is particular to Gujarati Muslims, the socio-economic decline, insulated living from other communities, the rise of orthodoxy and state bias exist to varying degrees in the whole of India for Muslims. Such trends have been bolstered since the 1980s. It is not a coincidence that these regressive changes are coeval with the assertion of Hindutva politics in India. Christophe Jaffrelot is a Senior Research Fellow at CERI-Sciences Po/CNRS and Professor at the King’s India Institute. He is also a regular columnist at The Indian Express. Sharik Laliwala, 21, an alumnus of Ahmedabad University & King’s College London, is an independent scholar on the history and politics of Gujarat.